Fabulous card, Lisa! 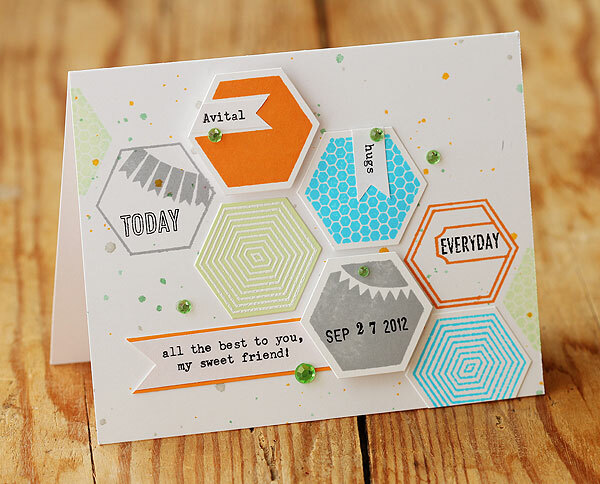 Love those hexagon stamps. Congratulations, Avital!! Wow! Super card and I love the hexagons! Wishing Avital all the best!!!! Lisa – Thanks for sharing. 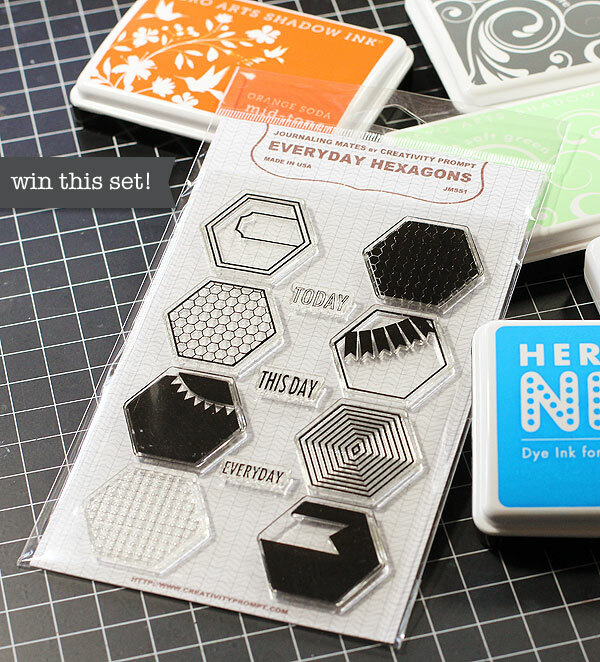 What a cool hexagon stamp set! 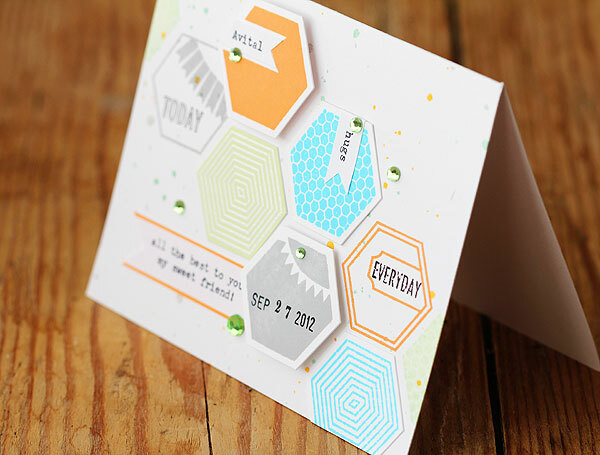 Avital – What a great hexagon set! I can’t wait to get to stamp with it. Congrats and good luck! Best of luck to you Avital…absolutely love these stamps! I liked Creativity Prompt on FB already! Congratulations to Avital! I really love these stamps and all the projects I’m seeing on the hop! I LIKED Creativity Prompts on Facebook and left a comment! Avital’s hexagons are so clever! Wishing her HUGE success on this new adventure. Lisa, you really showcased her stamps well. I can see lots of possibilities for this set. Glad they are made in the USA! These are cutest hexagons I’ve seen! I love the design of your card. Very beautiful stamps ! What a cute set! Good like Avital! Fabulous stamp set! 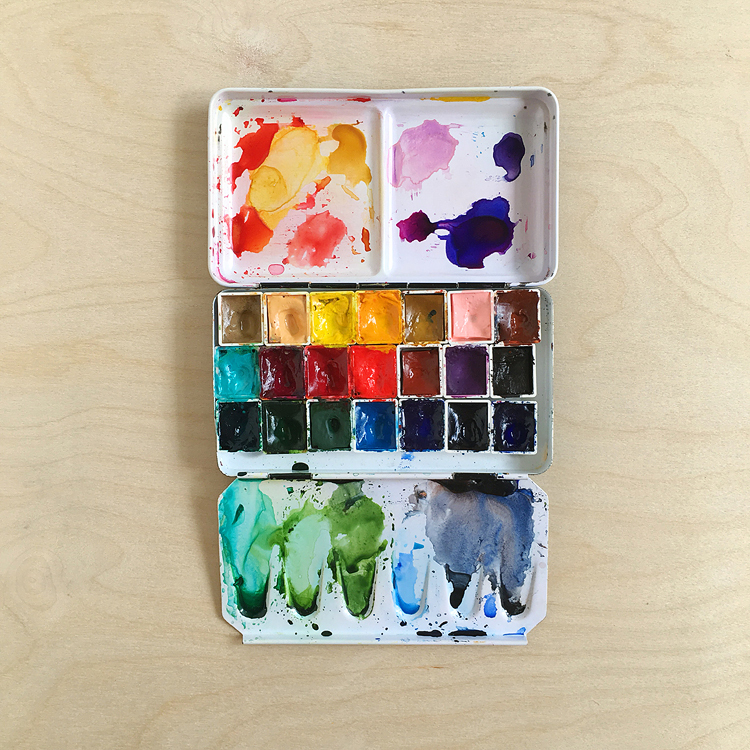 I have no question that Avital will do well with her new creative adventure. 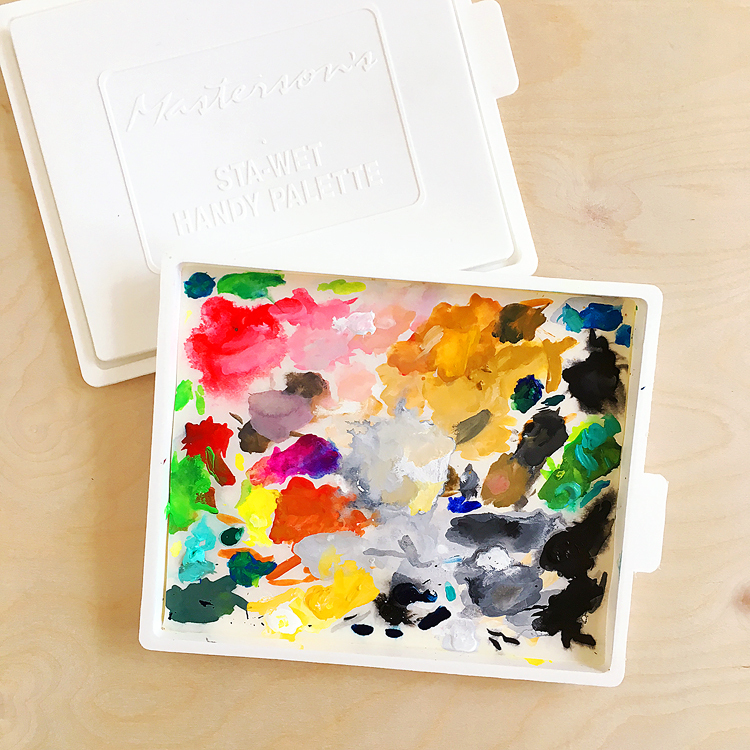 Just came from her blog and there are lots of inspiration there! LOVE your card. That color combo is fab, Lisa! Your card is amazing! And so is that stamp set, I know Avital is going to do well if she keeps designing awesome stamps like these! Je tente ma chance en français comme l’a suggéré Alexandra car mon anglais is bad !! Ces tampons sont magnifiques et l’initiative de les remporter très belle. Alors merci et croisons les doigts ! !